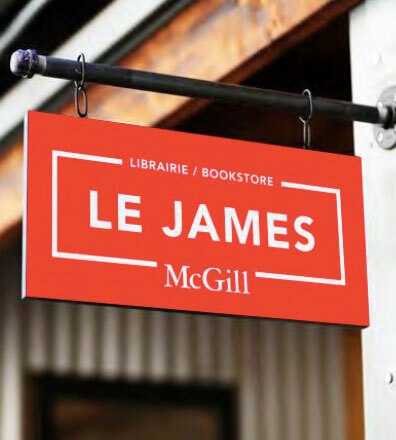 The McGill Bookstore is now operating from multiple locations. Click on the links below for details and directions. Please note that our store on Avenue du Parc has been permanently closed. If you are having any trouble finding what you are looking for or would like us to help you with directions, please don't hesitate to contact us. Our main store carries a full line of McGill branded clothing and insignia merchandise, stationery, snacks and Course Materials. Click HERE to see a map of the Sherbrooke store location. Ask for your order at the information counter in the store. During the Back-to-School period, online order pickup will take place on the lower level of our store. Follow the signs! The Mobile Store carries a selection of McGill branded clothing and insignia merchandise. It is currently located near Roddick Gates. Click HERE to see a map of the Mobile Store location. Housing administrative, online orders, customer service, accounting, marketing, buying and internal sales departments. NOTE: All deliveries are to be made to our 680 Sherbrooke St. W. store, see above. Click HERE to see a map of the Durocher location.